Now in it’s 11th season, Ramblin’ Rose continues to inspire women to step outside their comfort zone and empower themselves through the sport of triathlon. Back again in 2016 with the same five great events, we look forward to another season of inspiration and hope to see more amazing and dedicated women participate in the event. 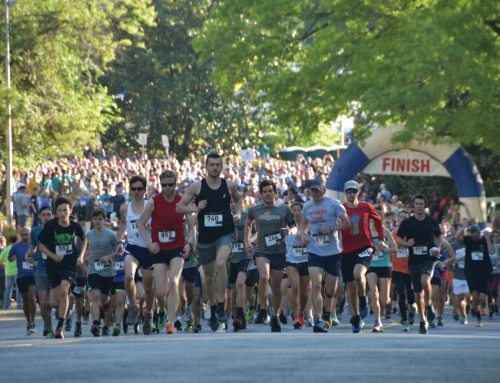 One of our favorite stories and pictures from the 2015 involved a relay team at Ramblin’ Rose Raleigh. 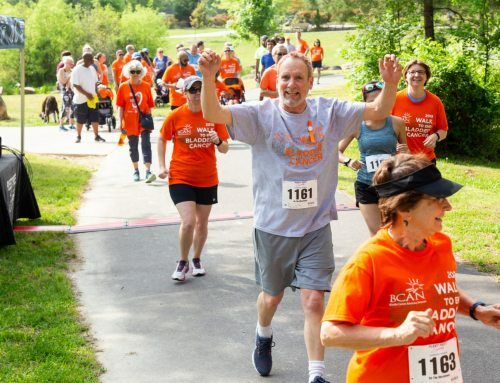 Anchored by Kate Biegler, a lawyer battling Multiple Sclerosis, this relay team truly embodies the spirit of the race. Read Kate’s account of the race below along with the many other Ramblin’ Rose triathlete we feature in this issue. 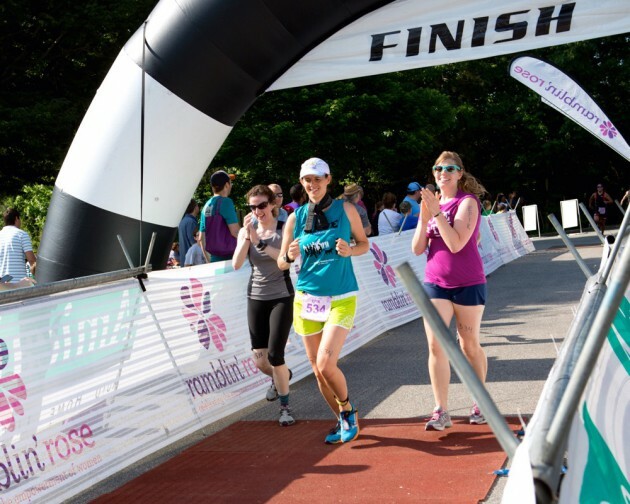 My first Ramblin’ Rose was in 2014, and I loved it – swimming, biking, and running with a group of amazing ladies of all skills and ability levels, and so much spirit! I knew I wanted to do it again. But I had no idea how different it would be for me the next time it came around. In July 2014, however, I developed some odd-ball symptoms like double vision and balance trouble and after an MRI, I was diagnosed with multiple sclerosis. Everything was different from that point forward, from being on medications and vitamins (lots to swallow every day), changing my diet, adjusting my work-life balance, and starting over on the exercise front. I didn’t run at all for several months; there was no way I was going to be able to balance on a bike, and my soccer playing and ice hockey skating both went on hold. I wanted to keep exercising though. I wanted it really badly. So, with my husband’s help, I started jogging (jog-walking, really). I signed up for a beginner’s 5K training program at Fleet Feet and I just kept trying to keep going. I suffered a relapse during the 5K program, but I kept showing up and walking-jogging-walking-jogging. When that training program was finished, I kept on jog-walking in the neighborhood, getting a bit further as I went, and feeling pretty good. When I got the news about the Ramblin’ Rose triathlon in 2015, I knew I wanted to do it even though I knew I couldn’t do the whole thing. So I sent an email to my girlfriends and right away got two of them interested in the swim and the bike legs. 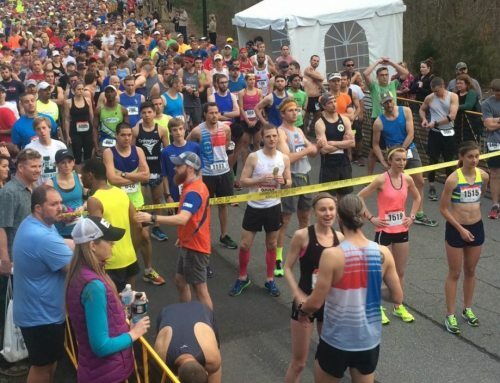 I registered us, and on race day, we were all there and ready and wanting to do it! After the swim leg, my swimming friend and I wandered over to the transition area to wait for my biking friend to show back up, and I suddenly thought of how awesome it would be if my teammates did the run with me. I asked my swimming friend and she said yes and performed an amazing changing routine behind her towel (“I was on swim teams for years,” she explained). When y biking friend pulled in she was absolutely up for the run leg, too. So we set off on the 2-mile course together, all smiles. We did the run as a run-walk, 2 minutes of running and 1 minute of walking and when I got tired, I just dug deep and kept on going. 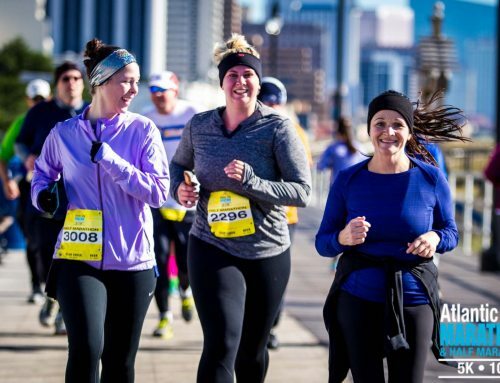 When we got within sight of the finish line, I was overcome with happiness, and we kept running past our 2 minute mark until we crossed the line. It was an amazing race, and an amazing day. I felt such a sense of accomplishment, and I once again loved being in the company of such a great group of women who were out there to do their best, just like me. The Ramblin’ Rose is magical. I can’t wait until the 2016 race!